Found in Broward County, Florida, Miramar is a city with a population of about 135,000 residents. The city is a part of the South Florida Metro area, which has a much higher population of nearly 5.6 million residents. Along with the many residents in this area, the South Florida Metro area sees millions of visitors every year. When mixing a large population with a large number of visiting drivers, it's a recipe for dangerous roads. Visitors bring their own style of driving and they are often not familiar with the area roads. This causes congested roads and plenty of issues on highways. A portion of Interstate 75 runs through Miramar, along with a portion of the Ronald Reagan Turnpike and Florida's Turnpike. I-75 is known as the 15th most deadly highway in the country. Miramar is found near Interstate 95, which is known as the most deadly highway in the country. Broward County averages more than 26,000 traffic accidents every year with about 200 fatalities from these accidents. Numbers for traffic crashes in Miramar and Broward County are on the rise. The roads have to be monitored throughout the area or these statistics would be far worse. More than 195,000 traffic tickets were given to drivers in Broward County for 2015. Nearly half of those tickets were for speeding with another 18,000 for careless driving and 15,000 for ignoring traffic signals or signs. These dangerous violations cause accidents quite often and show how dangerous the Miramar and Broward County roads can be. Habitual offenders may end up dealing with a driver's license suspension. Every traffic ticket comes with points, which go on your Florida license for every ticket. These points range from 3 to 6 per ticket and it only takes 12 points in 12 months, 18 in 18 months or 24 in 36 months to end up with a license suspension. With too many tickets in a short amount of time, you may lose your license for 30 to 365 days. Some drivers end up with a suspension and they don't take it seriously. However, if you get caught driving with a suspended license you face up to $500 in fines and 90 days in jail. In addition you will pay far more every year for car insurance once you get your license back. It's easy to see how the points can rack up fast, but you can use online traffic school in Miramar to avoid points on your license from a recent traffic ticket. Go to the Clerk of the Court and plead guilty or no contest to your ticket. Pay the fine associated with the ticket. 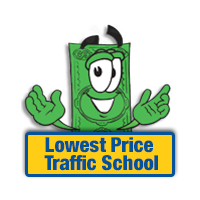 Let the Clerk of the Court know you plan to attend traffic school online. Enroll in the basic driver improvement course through online traffic school. Complete the course and receive your certificate of completion. Turn your certificate into the Clerk of the Court. If you do this, you will be able to avoid the points from going on your license and keep your insurance rates from going up. 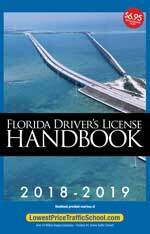 If you haven't taken the basic driver improvement course in the past 12 months or five times in your lifetime, you will be eligible to use this option to avoid points on your license. The State of Florida allows you to take the course up to five times, but you can only use it to erase points once every 12 months. If you receive a traffic ticket Miramar, Florida, it will be handled by the Broward County Clerk of the Court. The Clerk of the Court will take your payment and provide any necessary information about the ticket. You can find out more about the Broward County Clerk of the Court by visiting their website.